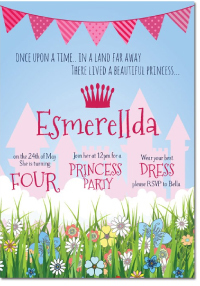 Paper Divas has a wide range of personalised birthday party invitations for both kids and adults of all ages. Having a themed party? Take a look at our themed party invitations for discos, masquerades and Mexican, to name a few. Embrace the theme of your party with matching thank you cards, lolly bags, gift tags and other matching accessories available for all our birthday invitations. With our easy to personalise birthday party invitations you can add your own photos and wording to make your party truly unique. 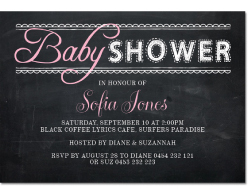 We deliver birthday party invitations Australia-wide and offer free shipping on orders over $65.00. 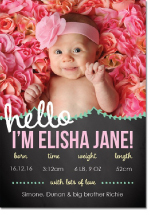 We supply Australian party planners with a fantastic range of themed and customisable birthday invitations. Any theme you are going for, we will be able to assist you in creating birthday invites that will delight your future party guests and get everyone excited for your special event. This is just a select few of our awesome range of cards, please feel free to browse the collection, select your favourite theme, and get in contact with us on how we can customise them to your exact preference. If you are interested in making a purchase on our themed and customisable birthday invitations, or would like further information on how we can help enhance the theme of your party, please feel free to contact our friendly staff. Please call 1300 0888 54, email us at info@paperdivas.com.au, or send us a message on our contact page and we will reply to you in a timely manner.